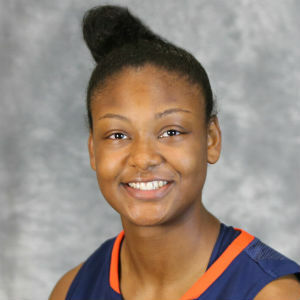 Virginia senior guard Faith Randolph has been named Atlantic Coast Conference Women’s Basketball Co-Player of the Week with Notre Dame’s Lindsay Allen, as announced Monday afternoon by the conference office and voted upon by the Blue Ribbon Panel. Virginia’s Randolph matched her career high with 26 points at No. 9/10 Ohio State. The senior from Derwood, Maryland, started a furious UVA third-quarter comeback, hitting three early 3-pointers as part of a 14-point quarter that turned a 14-point halftime deficit into a three-point game with 1:56 remaining in the third quarter. Randolph shot 50-percent from the field, which included a 66.7 clip from long range. This is the second ACC weekly honor of Randolph’s career and first for a UVA player this season. Virginia (8-4) closes out the non-conference portion of its schedule by hosting the Cavalier Classic Presented by Holiday Inn University Area on Monday and Tuesday (Dec. 28-29). For the second-straight year, the tournament will be played in a true classic format with the match-ups predetermined and no tournament champion crowned. Virginia will play Coppin State (2-8, 0-0 MEAC) on Monday and Richmond (6-5, 0-0 A10) on Tuesday. Both games will take place at 7 p.m.